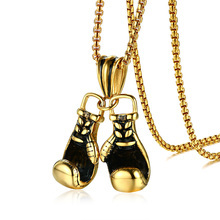 This necklace is a knockout! 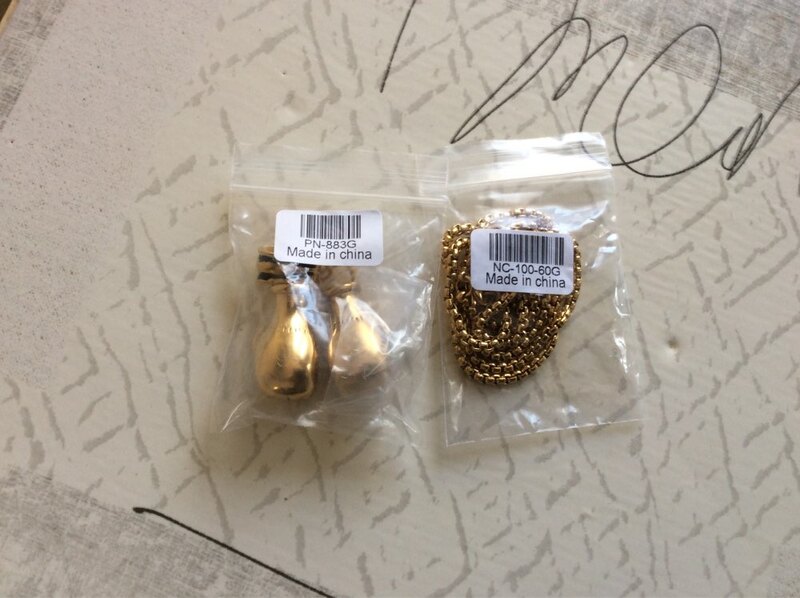 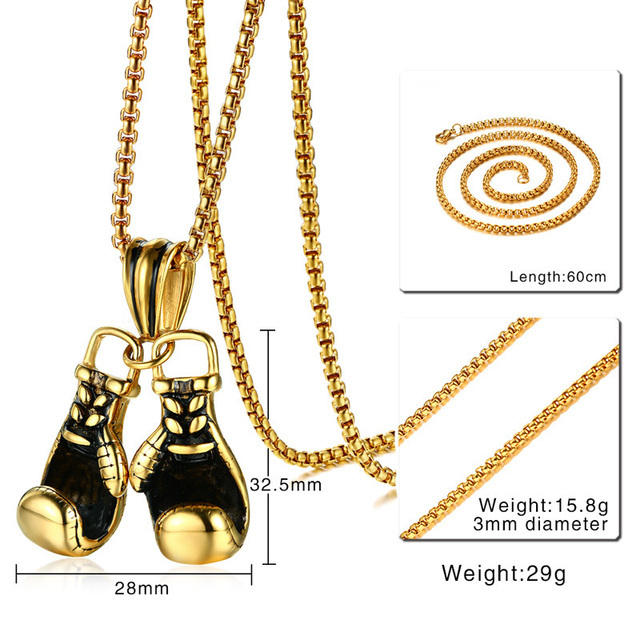 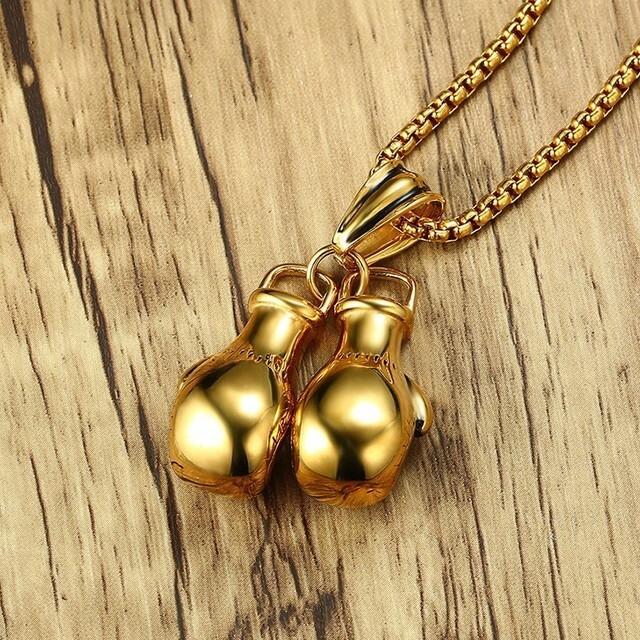 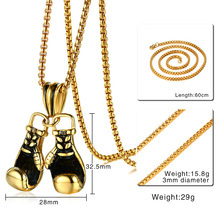 This boxing gloves pendant is approximately 28*32mm with a matching 24 inch long link chain. 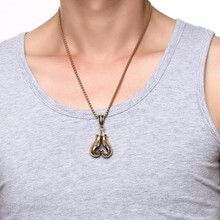 Material : 316l stainless steel ,highly resistent to rust, corrosion and tarnishing.